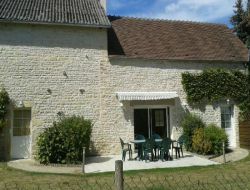 Cottage for 5 persons in a farm, in the Burgundian countryside. 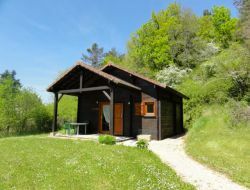 Near the Canal de Bourgogne and Armançon, the cottage will give you many walks. Old house restored in 2017 for 2 to 3 people, calm assured, with terrace, garden of 300m ² with swing and its organic vegetable garden; The cottage includes a large living room, a kitchen, a bedroom (with a painted mural facing the bed). 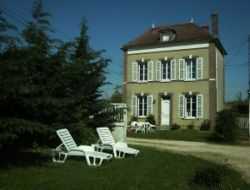 Location located 100m from the Nivernais canal, the bike road and locks; supervised swimming at 3km. You like travelling in the time? Then come to discover our medieval village, its art professions, his music festival, his markets with truffle, his remarkable wines and his good food. You can stroll at the edge of our river Le Serein. 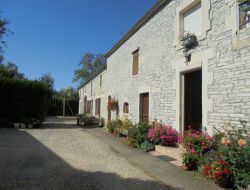 Come to stay in our holiday cottages, typical of Burgundy, at 2h from Paris by the highway. 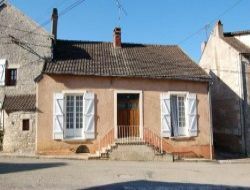 Holiday cottage in Noyers sur Serein, medieval city of the Yonne, built in a meander of the Serein, one of the morst beautiful villages of France. 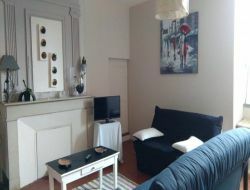 Independent studio of 40m², in a property with shared garden, for 4 people maximum, on the same level, with car park. Animals accepted with cleaning fee. 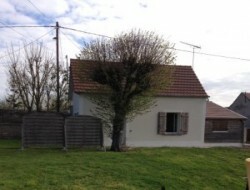 Independent cottage with small closed yard and not closed ground. 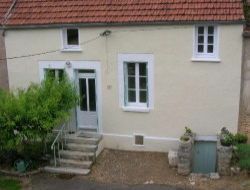 2 bedrooms, garden furniture and barbecue at disposal. Animals accepted on inquiry.